This post is sponsored by Suave. I only work with brands I love, so thank you for helping me to support them. I am loving doing these hair tutorials for ya’ll! Thank you so much for enjoying them, and make sure to keep tagging me in your braids etc. 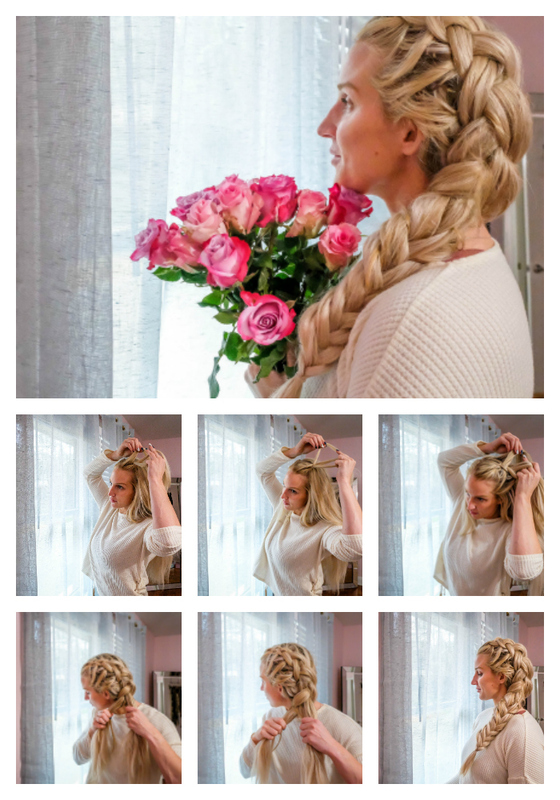 Today I want to show you how to do a dutch to fishtail braid. I think this is so pretty and romantic! Great for date nights, weddings, or just because. 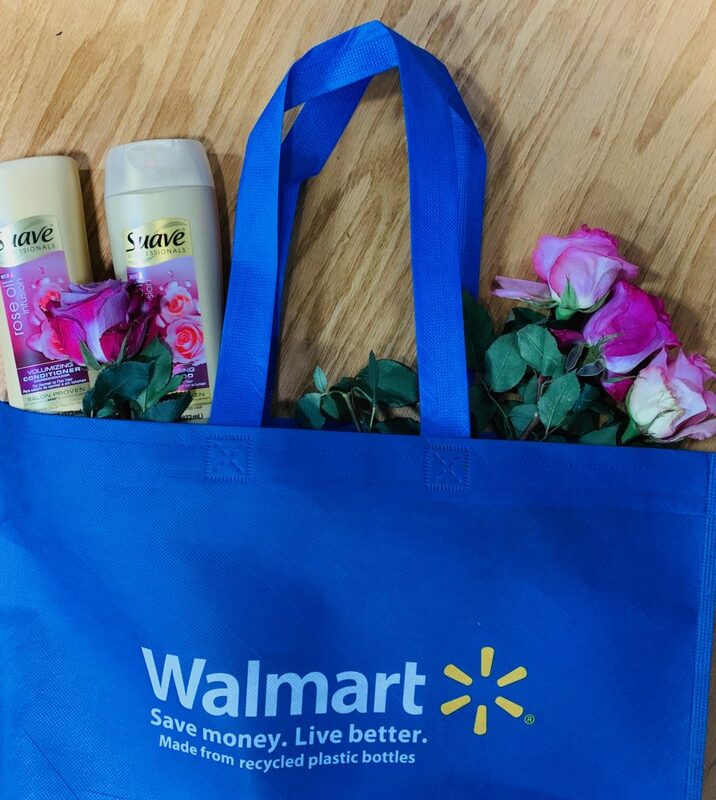 I used the Suave Professionals Gold Rose Oil Infusion Shampoo and Conditioner from Walmart and absolutely love it. Here’s why- it smells delicious, it’s great for normal to flat hair, and it really gives the hair follicles a nice plump for volume. When doing any sort of braids, you want full follicles to give the braids more width and volume. If you’re like me, with thin hair strands, this is especially important. And can I just tell you about the smell? OMG it’s like walking into a rose garden. It’s such a nice and relaxing smell and I truly enjoy it when I shower. You HAVE to try this shampoo and conditioner to believe it. First, wash your hair with the Suave Professionals Gold Rose Oil Infusion Shampoo and Conditioner. It doesn’t have to be the day you do the braid, it can be the day before etc. I really enjoy this specific line because it gives the hair nice volume, which makes the braid that much prettier. I’ll explain more about this later. Make sure hair is completely dry before braiding. If it’s a little greasy, add some dry shampoo. Begin dutch braid by splitting a section of hair on the side of your head into three parts. Braid the closest section to your face under the other two sections. Then braid the next closest section under the other two sections. On the third section feed a little bit of hair in, then braid it under. Continue to feed hair into each section as you braid until you get to the nape of your neck, and all hair has been braided in. Take two sections and turn them into one. Then start fishtailing. To fishtail, take the outermost piece of a section and feed it into the innermost piece of the other section. Do this all the way down until you need to tie off with an elastic. Spray the hair with hairspray and let sit for 10 minutes. Pull apart the braid to give it a more romantic look. Right now, Suave shampoos and conditioners (28 oz. sizes ONLY) will be $1.00 off (regular price $4.98; Rollback price $3.98) at Walmart so run out and grab some! This is one of the most beautiful braids I’ve seen! My daughter and I do “twinning” with matching outfits and hair. I bet she’d love to have our hair braided like this! What an amazing hair style! 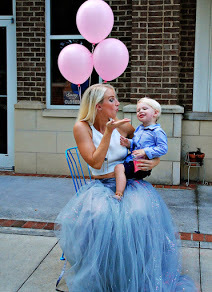 Your tutorial makes it easier to do, and I would like to do this with both of my daughters and my hair for a twin moment! 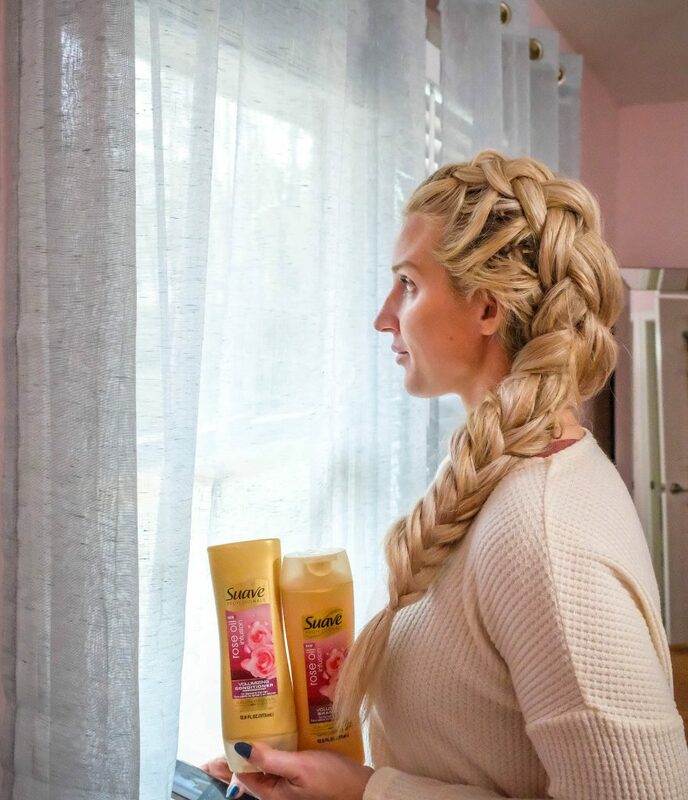 Your dutch braid is sheer perfection! I have always wanted to master it and somehow, can’t get it. I’ll try out your tutorial and see what comes of it! Anything with flowers in the Spring has to be awesome. 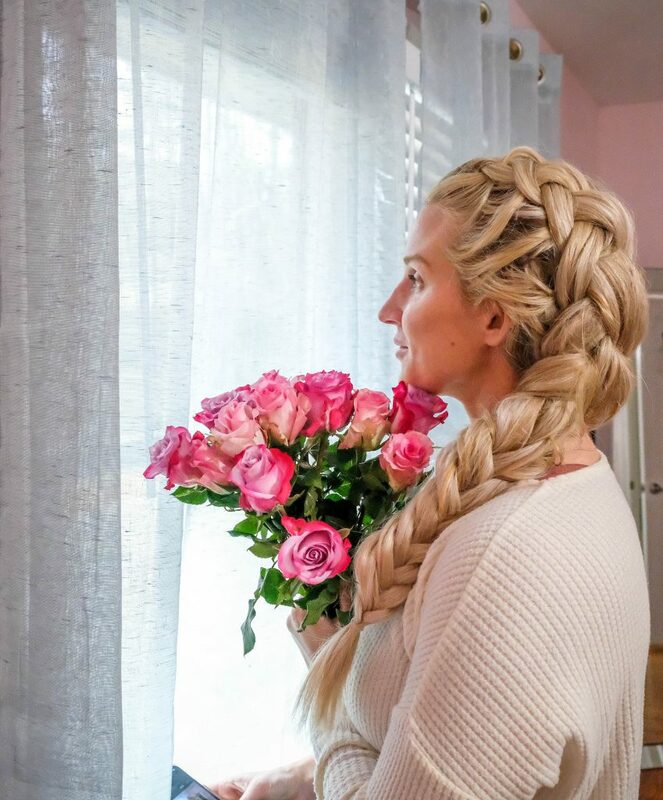 Your Dutch braid is awesome and just great for the occasion. Girl, you have so much hair! This braid seems like it does the trick to get your hair out of your face. Dutch braids are absolutely adorable. I would love to do this to my hair when I have time. Thank you so much for this tutorial! I love how it turned out! Gorgeous! I’m always looking for different styles of braids for my hair. The dutch braid looks flawless and fun. 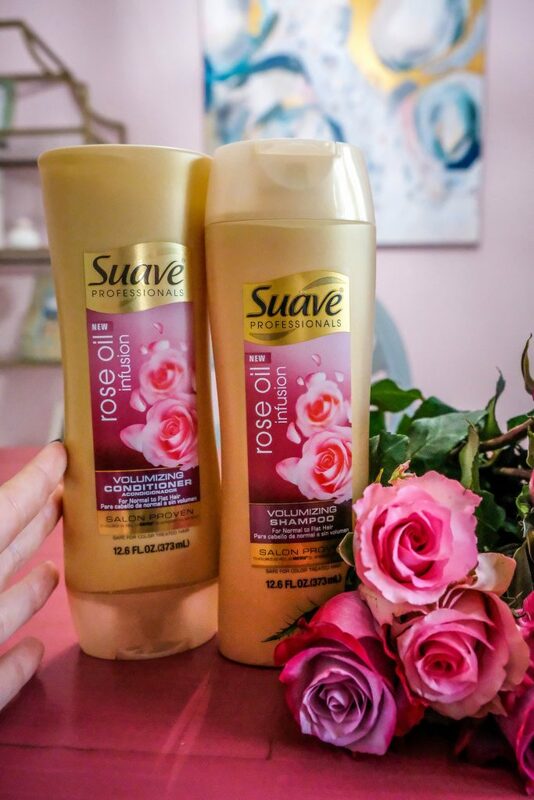 I love Suave products and the added rose oil sounds great. Wow, love that braid! I wish I could do that with my hair!